What follows is an example of a real specification we used in developing a feature for Buffer Analyze. The specification follows a separate “exploration doc”, which is usually much longer, much messier, and is designed to help the team arrive at the final specification. This is an appendix to my post on how we scope products at Buffer: Dream Big, Go Small, and the Path to a Minimum Lovable Product. Eternal thanks to James, our product designer, for driving this spec. 👉 This document is to detail out the designs for the team. It should contain all the information needed to actually build this out. If there is anything missing then please ask! 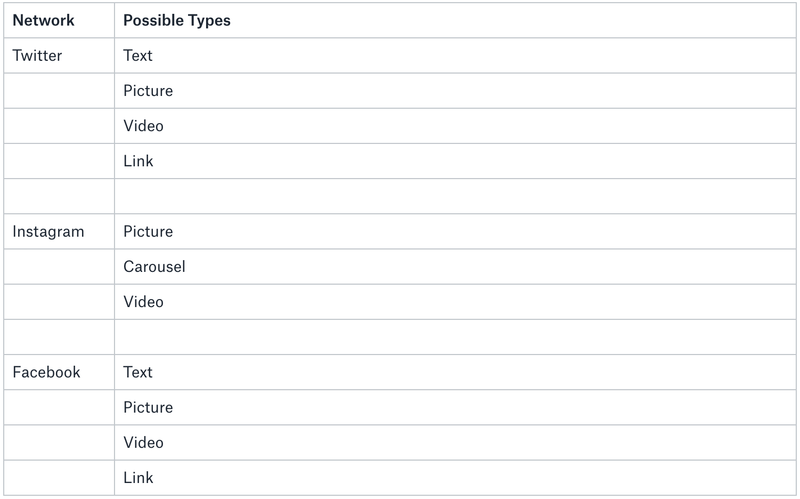 Here are all the chart modules that would feature in the new Answers section. For each main chart to look proportional, the answer part should be 40% of the total width and the bar graph should be 60% of the total width. That should be the same for every chart. The answers part is also vertically centred to the bar chart. The overview forms part of a new wave of graphs we want to do across Analyze eventually. They’re part of the “assistance” stuff we want to sprinkle through the app. This tells the customer exactly what is best. No need to dig through graphs to find the answers, they’re right here and it’s very direct. I’m trying to match the words in the labels up with the titles of the graphs that sit below this best I can. This can also be included in reports. 🤔 I tried a few things out with this but ultimately settled on this very simple design. The icons may well change but it’s just to give the items a bit of identity. These answers are always based on the data within the given date period. I’m still unsure of the red-ish colour, this may well change but let’s roll with it for the mo. There are no tooltips for this module. This chart aims to answer the question clearly whilst also providing more detailed information. 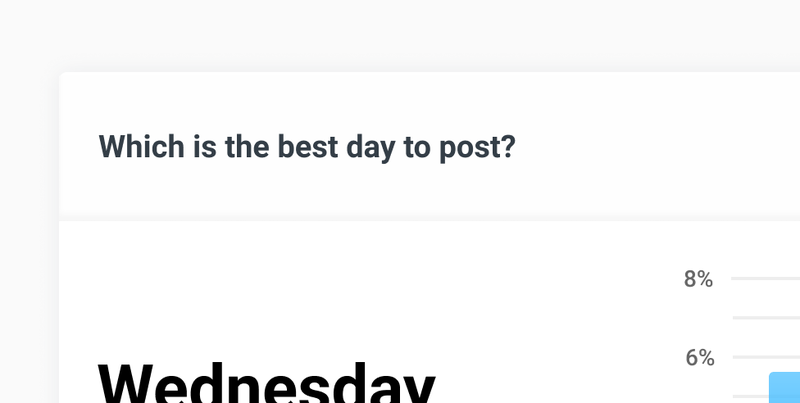 It uses a simple bar chart to show which day of the week is the most engaging. 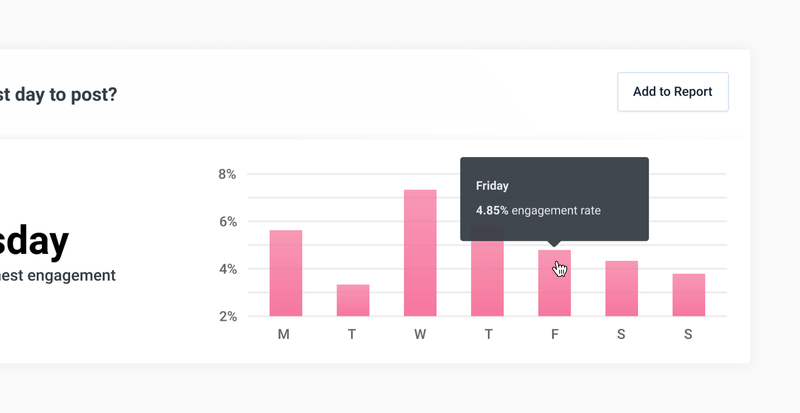 Along the y-axis is the engagement rate and along the x-axis are the days of the week. I did my best to make the title readable but also tie in with the respective label in the overview. This chart aims to answer the question clearly whilst also providing more detailed information. 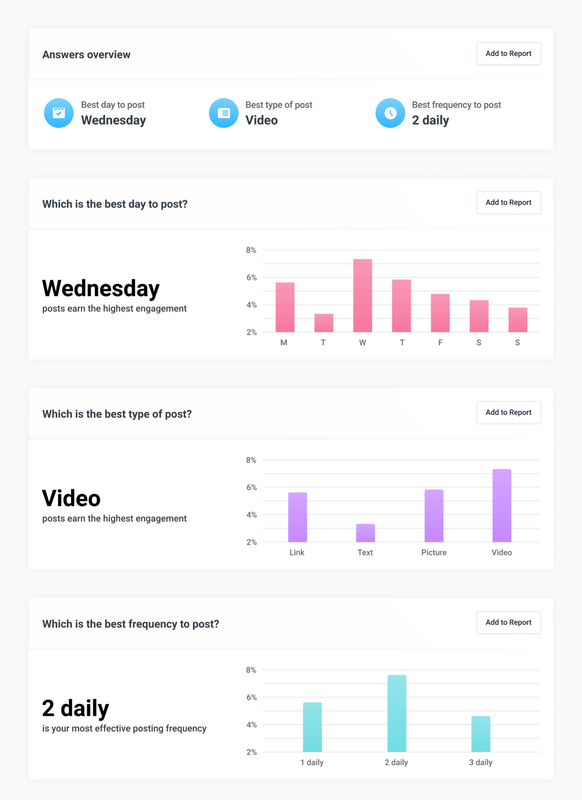 It uses a simple bar chart to show which type of post is the most engaging. 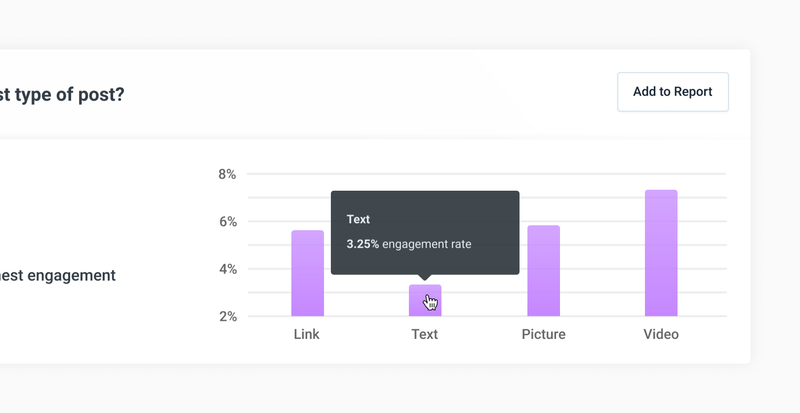 Along the y-axis is the engagement rate and along the x-axis is the types of posts. I did my best to make the title readable but also tie in with the respective label in the overview. 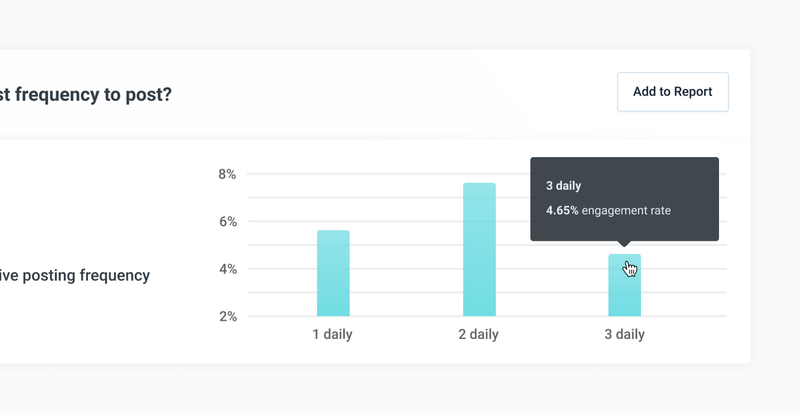 🎥 The good news is that we can ingest stories, but we need to subscribe to a webhook because Stories — and their stats — disappear after 24 hours! This chart aims to answer the question clearly whilst also providing more detailed information. It uses a simple bar chart to show which frequency of posting is the most engaging. Along the y-axis is the engagement rate and along the x-axis is the daily posting frequency. I did my best to make the title readable but also tie in with the respective label in the overview. Will these graphs be available for all networks? Yep, that’s the plan. Please say though if this feels like it’s not gonna work. How are we judging what’s the “best” in this context? I wanted to simplify a few things and make every graph just refer to engagement rate. It’s what each graph now checks to see which is “best” and which is “worst”. In the future, we could use other variables to gauge this but it feels good to be confident with this and engagement rate is usually considered a good gauge for success with this kind of stuff. To love, to laugh and be merry. Or “42” depending on what books you read.